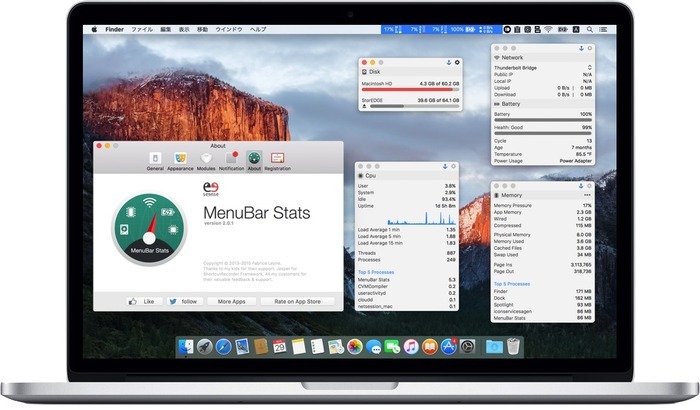 MacのメニューバーにCPUやメモリ、ストレージの使用率を表示してくれるアプリ「MenuBar Stats」がv2へアップデート。El Capitanに対応しモジュール機能を搭載。 | AAPL Ch. 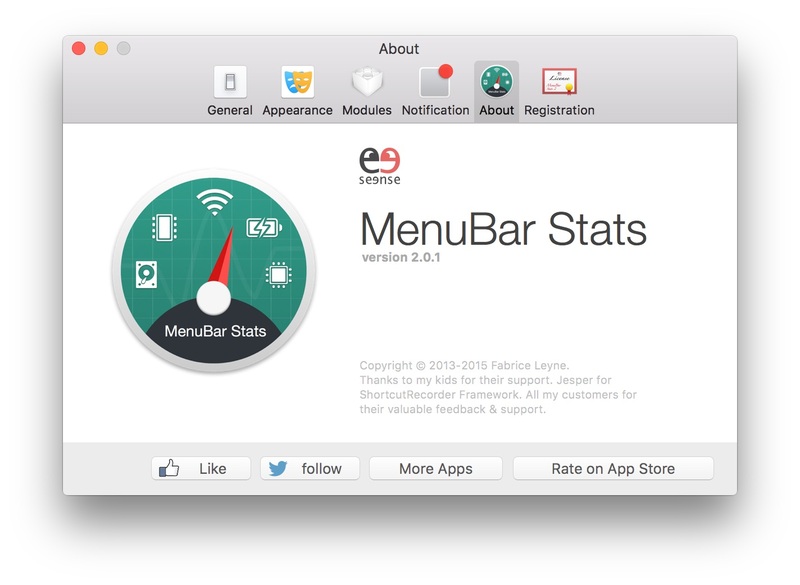 MenuBar Stats 2 has been reinvented for OS X El Capitan and Yosemite only. Completely re-written from the ground up. MenuBar Stats 2 is composed of modules (CPU, Disk, Network,…). Each module can be seen in your menu bar. 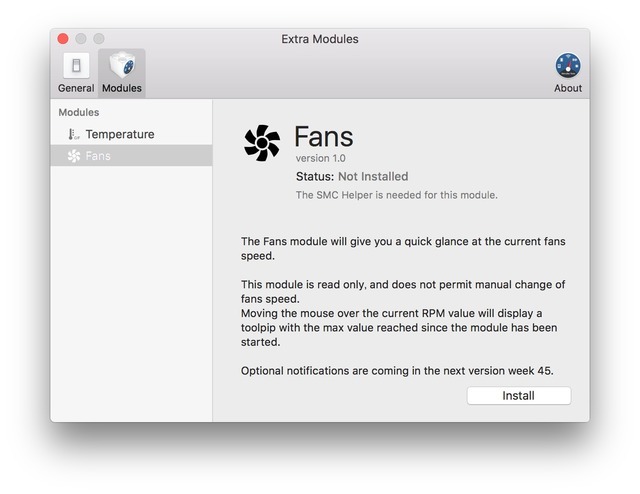 Each module can be combined in 1 window, or in a separated window.